Caroline Wozniacki and Rafael Nadal were spotted, on the eve of Wimbledon, with their better halves in London. 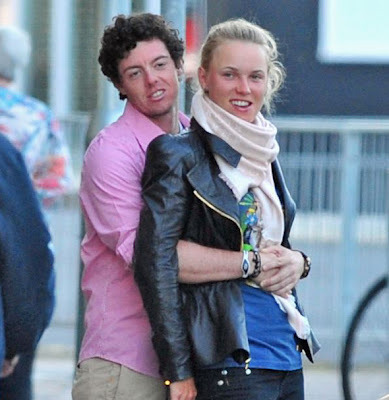 According to the Daily Mail, Caroline Wozniacki and her golfer boyfriend Rory McIlroy, a couple known as Wozzilroy, went to a pizza restaurant in Eastbourne. Meanwhile, the British newspaper found Nadal taking girlfriend Maria Francisca Perello (Xisca) for a stroll.